EDIT: PLEASE REDOWNLOAD! THE ELEVATOR IS NOT ALL THERE IS IN THE DEMO! I have fixed the entrance for the very first pipe, so now you can see the rest of what I made! 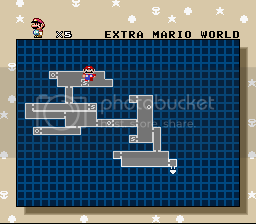 Extra Mario Bros. in SMW with more features. 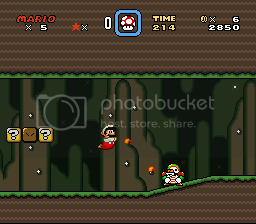 So far, Extra Mario World (or Maritroid) has only one powerup, Technical Fire. 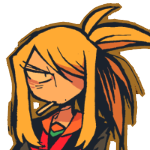 I was hoping I'd have enough time to get at least up to Super Fire, so people could play around with it as their end-of-demo gift, but I just didn't have the time. Making that elevator work took a lot of time out of me. But, it's finished. (Well, sorta; it glitches out when going back up after taking it down. But I'll fix that post-C3!) And hey, at least you got one powerup, right? 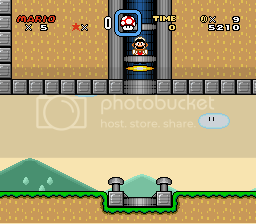 Also, the Save Rooms don't work; I focused all my time on the elevator and general design of the rooms. lol. Also, the demo isn't that long, hence why I call it more a proof-of-concept; it really should only take you a few minutes to get to the elevator, which is where it ends. Oh, and as for that Star Block? 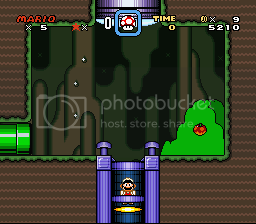 I don't think I have time to do what I want to do with it, which is the same as Extra Mario Bros.: you hit it and out comes your special powerup. 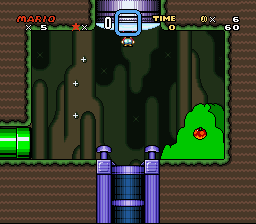 -Magic Spring, which would basically act like the super jump abilities from recent Castlevania games by spawning a floating springboard beneath you, but only once before you have to land. Lastly, I'd like to make this hack feel Metroid-like. If people TAS it and/or break whatever sequence I put in, and people greatly enjoy it because of this, I will be happier than you could imagine! Download from the link above! I DEFECT, SUCKERS! I'VE BEEN GIVING CHESTER AND HIS ARMY INFORMATION FROM THE VERY BEGINNING! HAHAHA! Ironic that you would make a thread that advances system's cause. That elevator is awesome. 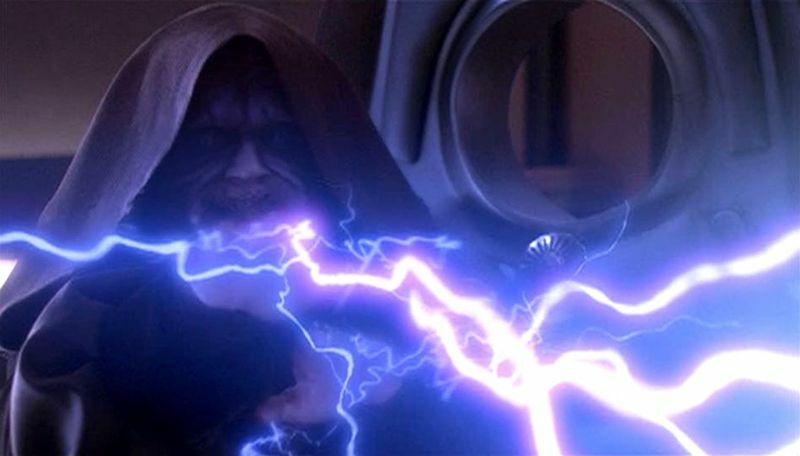 If only it flickered like the Metroid ones! The idea feels solid and you've got the coding ability to make it possible. I'm really looking forward to seeing what you can do with this! I sorta did that with ExAnimation. It more glows than flickers, though. 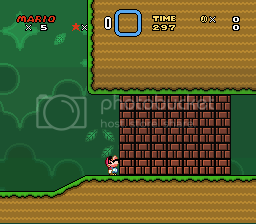 If you open the ROM and check Level 032's tiles in the 8x8 editor, you'll see I also have some frames drawn for the flickering like in Zero Mission! Anywho, I like it. It's like a better version of a Screen Scrolling Pipe. Never played Metroid before, though, so don't know what exactly these are used for. This is really something. I like this idea. 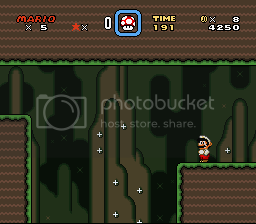 What will you be doing about the overworld map? 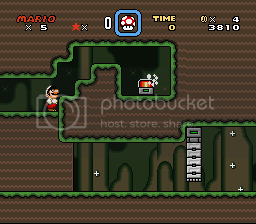 As cool as it is, won't Mario some-what clash with the smaller box map (Metroid)? I haven't downloaded it yet to see it in person but this sounds pretty cool. NO FREAKING WONDER NO ONE'S COMMENTING OR VOTING FOR MY DEMO FOR ANYTHING! 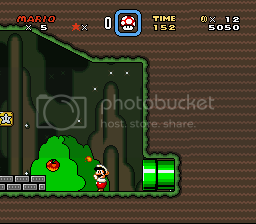 I MESSED UP THE PIPE, IT GOES TO THE WRONG LEVEL! THIS should work as intended! Everyone, PLEASE redownload! And here I was expected something related to Touhou...dammit. Anyway, this really is a neat concept, and everything is looking very nice so far as well. Hoping to see more! Ah, this was because I was mostly skimming threads at the time, since I was working on a project at the time. I didn't get into too many details. I'll edit this with more detailed comments once I play the demo in a minute. As for the area you cleared while small: nope, not fixing it! There's a reason the title says "OR Maritroid". :3 If people use that to break whatever sequence I set up, GOOD! Let them do it! For me to do what I can to stop people from breaking out of a specific sequence would just destroy my entire plan! Strange. I just tested the pipe in 25 leading back to 1 twice, and neither time did it take me to the bonus game. 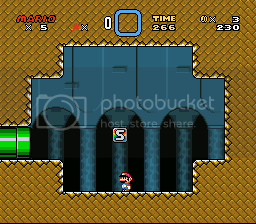 Same thing happened to me as well, lowering the pipe down one tile seems to fix the problem though. Anyway, I enjoyed what you've got so far, and I hope to play more in the future. Just from knowing what metroid is like (from videos/LPs, haven't actually played any of the games myself) I was already trying to find hidden passages in the walls and I hope that this game will be full of them. Are you putting in custom music, because listening to the standard cave music does get boring after awhile. Alright, I lowered the pipe a tile. I don't get why you two were having the problem, but I wasn't, though. As for custom music, absolutely! I already commissioned a new port of a song from Wario Land just for this hack. ;) And tbh, I really want a different song for the first area than the SMW cave song. 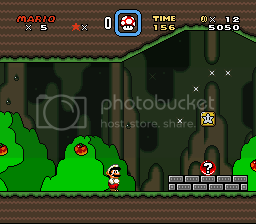 What I had in mind with the area was Super Metroid's Brinstar, the underground-forest area in specific, so I'd like a song fitting of that theme, but I don't know what to use. Any suggestions?